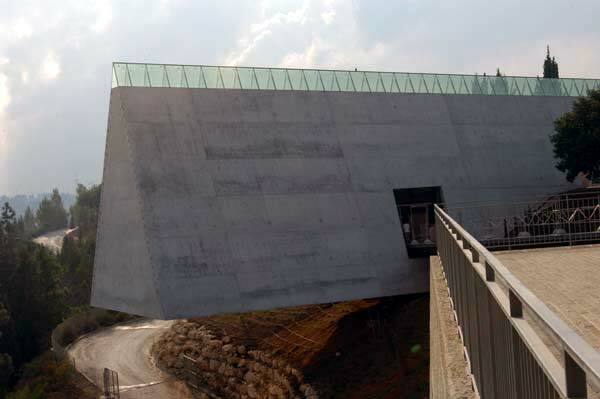 On a hillside overlooking Jerusalem’s Ein Kerem Valley, the new Yad Vashem Holocaust History Museum is the culmination of a 10-year, $100 million redevelopment project of Yad Vashem, the Holocaust Martyrs' and Heroes' Remembrance Authority. 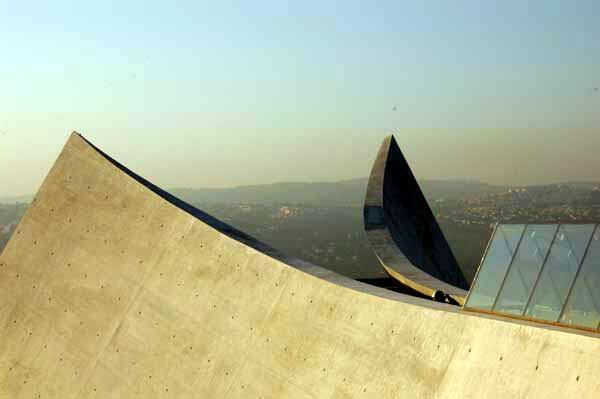 The new cultural, educational, and scholarly institution reaffirms Yad Vashem’s status as an important international center of Holocaust research and remembrance. 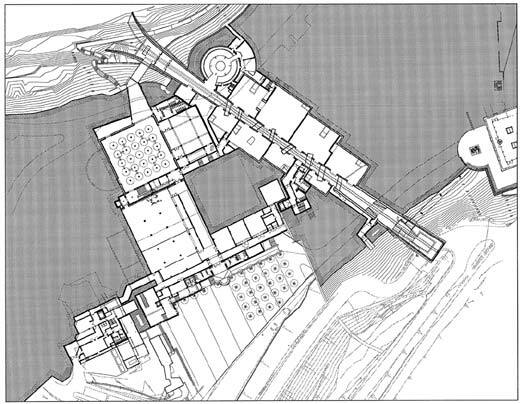 The most essential component of the four-acre, 800,000-square-foot campus is the 40,000-square-foot Holocaust History Museum designed by Moshe Safdie and Associates. The Museum, which opened in March, replaces Yad Vashem’s preexisting Historical Museum, serving – in essence – as the complex’s new core. Safdie felt that the story of the Holocaust has no equal, and that it could not be accommodated in a conventional building. 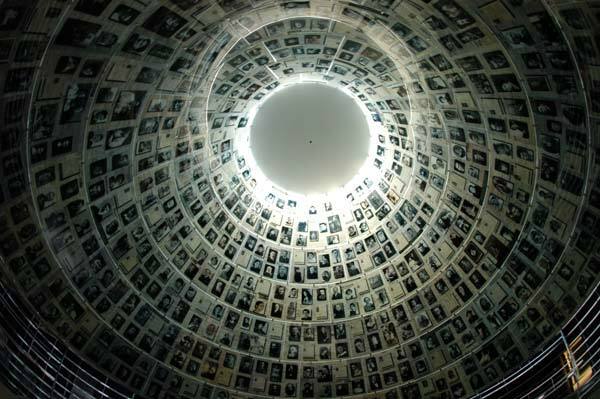 Appropriately, the Historical Museum is the most visually compelling of Yad Vashem’s myriad structures, while still being mindful of its delicate site and profound surroundings. Safdie treated it like an archeological remnant. 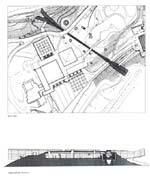 To preserve the pastoral character of the Mount of Remembrance, he conceived a prism-like triangular structure that cuts through the Mount of Remembrance from the south, extending 500 feet to the north. 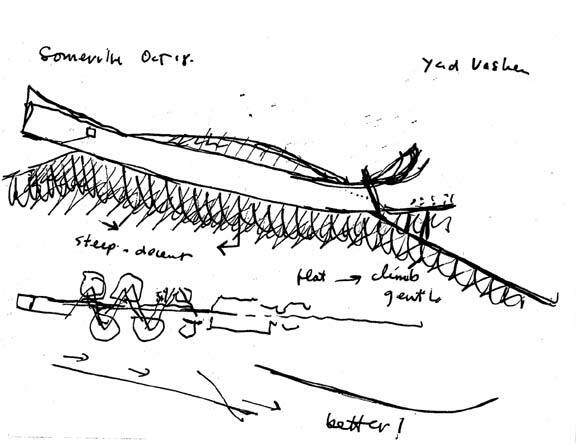 Most of the Museum’s “body” is hidden within the earth, allowing little more than its elongated, angular spine to convey a sense of its true scale. The galleries are concealed underground, straddling the 650-foot-long skylit spine 60 feet above. Hidden from view upon entry, the galleries reveal themselves slowly as the visitor proceeds along the Museum’s central walkway, presenting the Holocaust chapter by chapter through a historical and thematic course. The sequential nature of the structure also allows curators to design exhibitions in accordance with the Holocaust’s still-developing historical narrative. 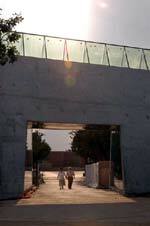 The result is a well-balanced dialogue between the building and the exhibitions inside. While many exhibitions within the museum will rotate, there are many permanent works on display. Among them is a video art installation by Israeli artist Michal Rovner that deftly and respectfully employs history and technology to recreate daily life in Europe before the rise of Nazism. Screened on a 30-foot triangular wall at the Museum’s eastern entrance, the work is an original 10-minute video using archival images to recreate a vanished Europe. A scene of the Polish village of Kobuxzowa, for instance, was developed from seven separate film images of the town’s daily life in the early 1930s. Blended together, they help 21st century visitors view a world that was tragically and brutally destroyed in the 20th century. The path culminates in the Hall of Names. Here, two cones mirror one another. One rises skyward, covered with photos of the victims; the other is excavated into the bedrock down to ground water, reflecting the images from above – in memory of those whose names will never be known. The hall is surrounded by a repository housing the Pages of Testimony of millions of victims – with space for a total of six million Pages. 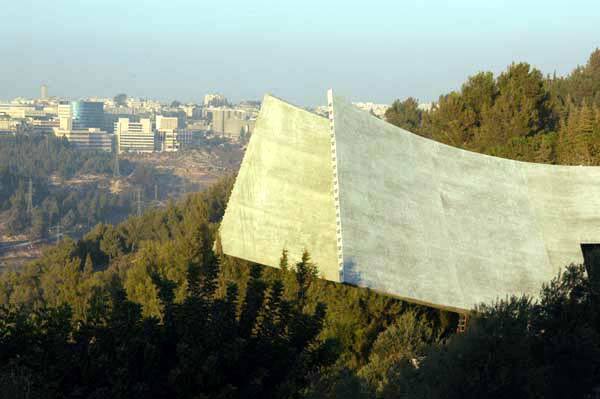 At the north end, the prism bursts out of the mountain, cantilevering over the valley, to light, to the view of the Jerusalem hills, and to the vibrant, modern city itself. It is an affirmation of life after an experience of death. The project effectively combines the Holocaust’s historical narrative with an appropriate and effective visual experience. 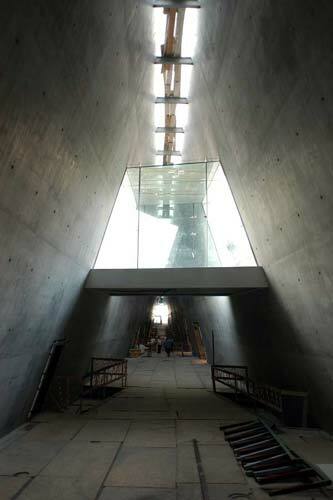 The Holocaust History Museum is crafted of concrete and glass, and is drenched in natural light. 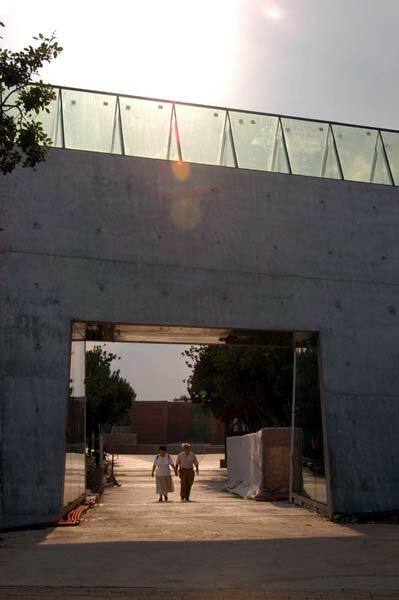 Safdie describes the building as “bursting out toward the north, a volcanic eruption of light and life.” It is the core Yad Vashem experience, but clearly not alone in telling the story of Europe’s murdered Jews. 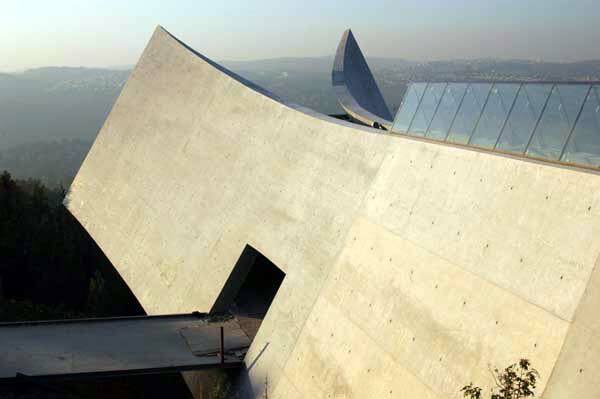 The new Yad Vashem has been developed as a campus, with a clutch of anchor buildings including a Holocaust History Museum, Holocaust Art Museum, Exhibition Pavilion, Visual Center, Learning Center, Synagogue, Visitors Center, and the Safdie-designed Children’s Memorial. 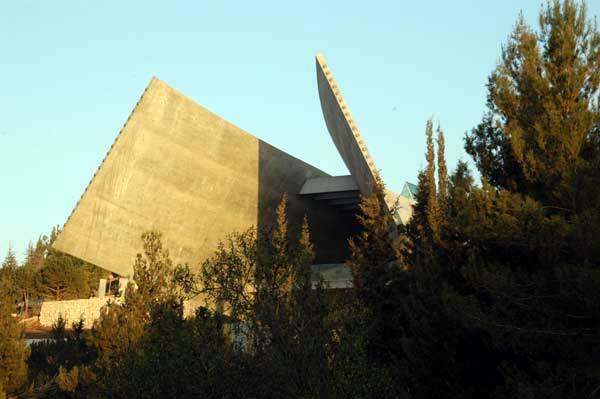 Defined by and accented with strong architectural elements, Yad Vashem is an immediate aesthetic and spiritual landmark, for Jerusalem, Israel, and the world. General Contractor: Minrav Eng. & Building Ltd. Structural Engineering: S. Ben Abraham Engineers Ltd.; Y. Gordon Engineers Ltd.
Museum Lighting: Topaz Electrical & Lighting Engineering Ltd.
Glazing Systems: Landman Aluminum Ltd.
Sanitary: A. Yosha Consulting Engineers Ltd.
Boston-based Moshe Safdie and Associates maintains branch offices in Toronto and Jerusalem. Beginning with Habitat ’67, a seminal experimental housing project for Montreal’s Expo, Safdie has made important contributions to almost every building type: museums, libraries, performing arts centers, government buildings, airports, houses, and the realization of entire cities. He has served as Director of Urban Design and Ian Woodner Professor of Architecture and Urban Design at the Harvard Graduate School of Design, in addition to teaching at various other universities. 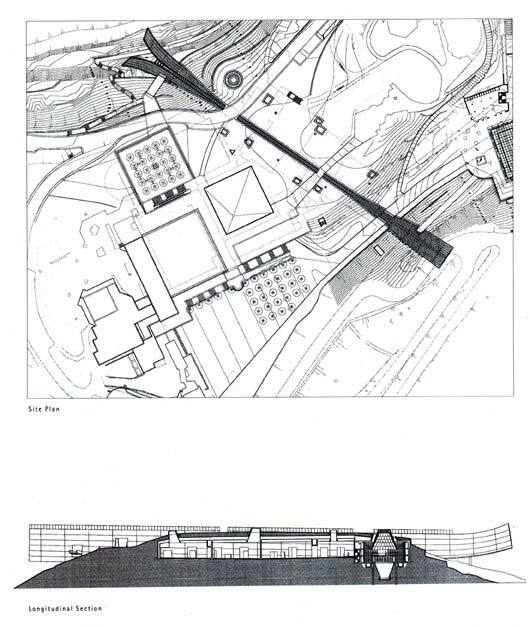 He is the author of several books on architecture and urban planning, most recently The City After the Automobile. Among Safdie’s numerous awards and honorary degrees are the Order of Canada and the Gold Medal of the Royal Canadian Institute of Architects. Significant works include the National Gallery of Canada in Ottawa; the Exploration Place Science Center and Children’s Museum in Wichita, KS; the Peabody Essex Museum in Salem, MA, and the Salt Lake City Main Public Library.